The 2019 Honda Insight sedan joins Honda's growing family of electrified vehicles as a dedicated hybrid sedan. Insight features the kind of fuel efficiency hybrid buyers demand, but with sleek styling, robust acceleration, and driving refinement they might not expect. It joins the Clarity series and Accord Hybrid as the fifth Honda electrified vehicle introduced in the past year. 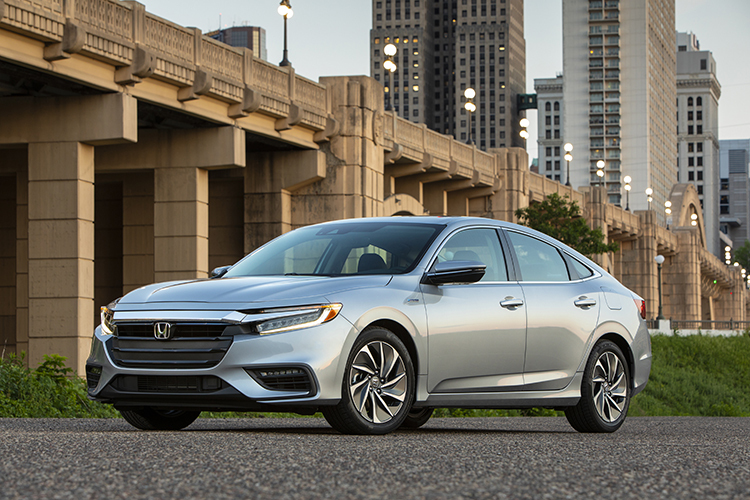 Though the third Honda to bear the Insight name, the 2019 Insight is all-new, positioned as a premium compact sedan between the Civic and Accord. Its universally appealing styling wraps around a refined 5-seat interior with class-leading interior space, premium appointments and the latest technology, such as standard Honda Sensing® and available in-car Wi-Fi, Apple CarPlay™ and Android Auto™ integration. With power derived from the latest generation of Honda's innovative two-motor hybrid system, Insight also offers robust acceleration performance along with an EPA-estimated 55 mpg city rating1. Refined and responsive driving performance at the top of its class is assured by the adoption of the 10th-generation Civic body and chassis architecture along with numerous enhancements, including revised springs, dampers and bushings along with unique sheetmetal in nearly every location. The new Insight comes standard with the Honda Sensing® suite of advanced safety and driver-assistive technologies. All trims also come with a multi-view backup camera system, and EX and Touring models come with Honda LaneWatch™. Insight Touring models also includes the latest iteration of HondaLink, which offers multiple cloud-based services including a 4G Wi-Fi mobile hotspot (data plan required), smartphone-based remote vehicle locking/unlocking, stolen vehicle tracking and more. The 2019 Honda Insight is offered in three trims: the well-appointed LX, upgraded EX, and the fully-equipped Insight Touring. Standard features include LED exterior lighting, including headlights, daytime running lights and taillights; 16-inch alloy wheels, heated side mirrors, push-button start, heated side mirrors, a 6-speaker audio system with Bluetooth® and Pandora® integration, and a 7-inch TFT digital driver's meter. Insight EX adds Smart Entry, two additional speakers, and an 8-inch Display Audio high-resolution touchscreen with a smartphone-like customizable home-screen layout and Apple CarPlay™ and Android AutoTM integration. The line-topping Touring model features 17-inch alloy wheels, LED fog lights and side-mirror turn signals, rain-sensing windshield wipers, a power moonroof, perforated leather-trimmed seating, heated front seats with 8-way power adjustment for the driver and 4-way power for the passenger, dual-zone climate control, a 10-speaker audio system, embedded Honda Satellite-Linked Navigation System™, and Honda HD Digital Traffic. The sleek lines, coupe-like profile, and wide stance of the new Insight communicate a sophisticated yet elegant design. 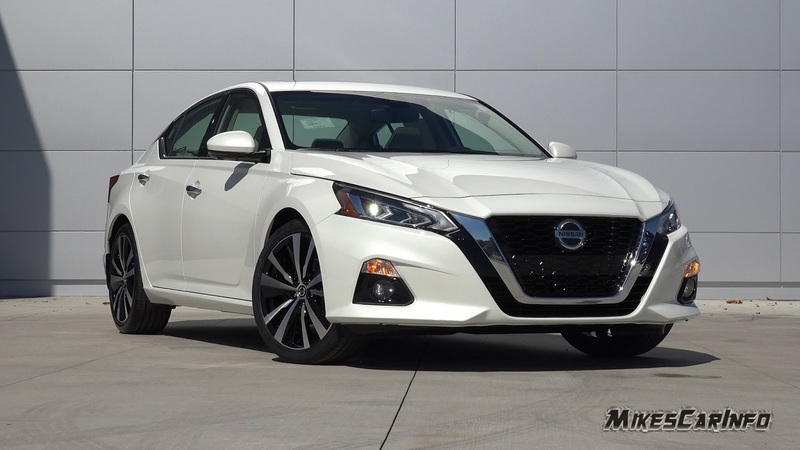 Details like the "flying wing" grille, standard low-profile LED headlights and taillights, tasteful use of chrome, and dynamic character lines emphasize its premium compact sedan character. Touring models up the ante with larger, 17-inch alloy wheels and LED fog lights. Insight's design is as functional as it is aesthetically pleasing. Careful attention was paid in wind-tunnel testing to control airflow over, under, and around Insight for optimum fuel efficiency and noise reduction. The low aluminum hood helps to reduce weight and improve air flow and visibility. Out back, the short trunk lid contributes to the coupe-like profile, and the sharp cut-off at the rear edge helps the airflow separate cleanly from the rear of the car, aiding fuel efficiency. Underneath, Insight features the flattest underbody of any Honda production vehicle, helping smooth airflow under the car as it travels rearward, and reducing wind noise in the cabin. The driver-focused cockpit of the 2019 Insight features an elegance not found in its hatchback competitors. Premium appointments include a stitched dash, soft-touch surfaces, a sport steering wheel and ergonomically sculpted seats. The instrument panel features a customizable digital (color TFT) driver's meter and a 7-inch multi-information display (MID), while an available 8-inch Display Audio touchscreen with Apple CarPlay™ and Android Auto™ integration sits atop the dash. Insight doesn't compromise function for the sake of form. The long wheelbase provides for a class-leading 97.6 cubic feet of passenger space (LX/EX), including 37.4 inches of rear legroom, which is up to four inches more than top competitors. By locating the hybrid battery under the rear seats, Insight provides up to 15.1 cu-ft of trunk space, bigger than many gasoline-powered midsize sedans while preserving the people- and cargo-carrying flexibility of a folding rear seatback – one piece on LX trims and split 60/40 in EX and Touring. Insight's interior benefits from numerous storage compartments, including a multi-level user-configurable storage area between the front seats. On the center console next to the shift-by-wire gear selector is a cell phone pocket designed to accommodate larger smartphones. Audio and connectivity on LX models includes a 140-watt audio system with 6 speakers, operating with a 5-inch LCD screen with USB connectivity, Bluetooth® streaming audio, and Pandora® integration. Insight EX and Touring trims get an 8-inch Display Audio touchscreen system with Apple CarPlay™ and Android Auto™ integration, SiriusXM Radio, HD Radio, two USB inputs, and two additional speakers for the 180-watt system. For Insight Touring trims, there's a 450-watt system powering 10 speakers (including a sub-woofer), along with the latest iteration of Honda's Satellite-Linked Navigation with Voice Recognition and Honda HD Digital Traffic. Insight Touring models also feature the next-generation of HondaLink cloud-based services. By pairing the car using the HondaLink smartphone app, drivers can use the subscription-based service for maintenance reminders, to schedule vehicle service, and even access to the Owner's Guide. HondaLink also provides Insight owners with a variety of remote functions, such as starting the car, locking or unlocking doors, stolen vehicle tracking, fuel range and status, and tire pressure monitor system status. Parents can enable geofencing and speed alarm capabilities to keep an eye on young drivers. Powering the 2019 Honda Insight is the third-generation of Honda's two-motor hybrid system. The highly efficient 1.5-liter Atkinson-cycle gasoline engine and powerful electric drive motor combine for a system output of 151 horsepower and 197 lb-ft of electric motor torque. Under most conditions, Insight operates as a series hybrid -- the gasoline engine connects to a generator motor to produce electricity that either powers the electric propulsion motor, recharges the 60-cell lithium ion battery pack, or both. To customize the driving experience for maximum efficiency or driving performance, drivers can choose between ECON, SPORT and EV modes, in addition to the Normal driving mode. Drivers can also choose between three different levels of regenerative braking using selector paddles mounted on the steering wheel. By pressing the EV button on the center console, drivers can opt to go for roughly a mile under electric power alone. Since the electric motor directly powers the drive axles, Insight's two-motor technology works without a conventional automatic transmission. When circumstances demand, a lock-up clutch connects the gasoline engine directly to the electric drive motor, providing the most efficient operation for highway driving. Insight drivers can also choose ECON or SPORT modes. ECON alters throttle inputs to help optimize fuel efficiency. SPORT provides more aggressive throttle inputs while drawing more on the battery for a more energetic acceleration feel. Additionally, SPORT alters the Active Sound Control (ASC) for a more aggressive engine note. The 2019 Insight chassis is designed to deliver luxury-class ride quality, superb cabin quietness, and peak efficiency, making Insight an ideal commuter vehicle while still being fun to drive. Insight's body and chassis are a further evolution of the 10th-generation Honda Civic platform. Aside from its exterior sheetmetal, Insight's body structure shares much of its engineering with the 10th-generation Civic, including the latest generation of Honda's proprietary Advanced Compatibility Engineering (ACE) body structure, extensive use of high-tensile steel, and leading technologies such as its crash stroke front frame design, which enables a shortened front overhang, and tailor-tempered "soft zones" in the body sides and rear frame for enhanced collision protection. Unlike Civic, the Insight utilizes an aluminum hood (skin and inner frame) for reduced weight and a new, reengineered rear floor structure to support and protect its hybrid battery pack, which is located under the rear seats. The fully independent suspension features updated springs, dampers and bushings. The front suspension uses unique L-shaped lower arms to optimize lateral and longitudinal forces for improved handling precision along with linear and natural steering feel. In the rear, a 5-link suspension, mounted on a rigid subframe, not only improves ride and handling but also maximizes space for rear-seat passengers, cargo, and the hybrid system's electronics. Ride quality is further enhanced by way of fluid-filled compliance bushings up front and at both ends in Touring trims. Positioned as a premium product, Insight engineers put a strong emphasis on cabin noise suppression, with additional sound deadening under the hood, in the front and rear firewall, front fenders, and front and rear floor to reduce road noise. Cornering ability is further enhanced with standard Agile Handling Assist, which applies braking force to the inside wheel while cornering to improve response and overall cornering agility. The sport steering wheel, leather-wrapped in Touring trims, connects to a Dual-Pinion Variable Ratio Electric Power-Assist Rack-and-Pinion Steering (EPS) system. The variable ratio enhances parking-lot maneuverability, while providing stability at highway speeds. Like all Honda vehicles, Insight's attention to driver and passenger safety performance is of the utmost importance. All Insights come standard with Honda Sensing®. This advanced safety and driver assistive suite includes Forward Collison Warning (FCW), Collision Mitigation Braking System™ (CMBS™), Lane Departure Warning, Lane Keeping Assistance System, Road Departure Mitigation, Adaptive Cruise Control with Low-Speed Follow and Traffic Sign Recognition. All models also come with a multi-view rearview camera, and Insight EX and Touring trims come equipped with Honda LaneWatch. Insight includes Honda's next-generation Advanced Compatibility Engineering (ACE) body structure and advanced airbags, and targets top collision safety ratings of a NCAP 5-Star Overall Vehicle Score from the NHTSA and a TOP SAFETY PICK rating from the IIHS. 1. Based on 2019 EPA fuel-economy ratings for LX/EX models. Use for comparison purposes only. Your mileage will vary depending on how you drive and maintain your vehicle, battery pack age/condition, driving conditions and other factors. The 2019 Insight uses the third generation of Honda's innovative two-motor hybrid system, which allows Insight to operate as a series hybrid, a parallel hybrid or a pure electric vehicle, switching seamlessly between these three operating modes based on the demands of the driver and the driving conditions. The powertrain consists of a highly efficient 1.5-liter Atkinson-cycle engine paired with two electric motors – a 96-kilowatt propulsion motor and a smaller generator/starter motor. Under most driving conditions, Insight operates as a series hybrid, with the electric propulsion (traction) motor providing motive power to the front axle with energy supplied by the batteries or the generator motor. Unlike many competing hybrid systems, Honda's operates without the use of a conventional stepped or continuously variable transmission, utilizing instead a high-capacity lock-up clutch that connects the engine/generator motor combo to the propulsion motor. This allows power to be supplied directly from the engine to the front wheels, supplementing the propulsion motor under certain conditions for either maximum power or efficiency. Smooth and seamless regenerative braking performance is supplied by Insight's electro-servo brake system, which has been continuously refined through multiple generations of electrified Honda products. Power storage is handled by a compact, 60-cell lithium-ion battery pack, located under the rear seats to enable a full-size trunk and the people- and cargo-hauling flexibility of a fold down rear seat with no compromise to interior seating comfort. To give the driver a greater measure of control over the vehicle's performance, Insight features three selectable driving modes – Normal, ECON and SPORT – to optimize either efficiency or performance or to provide a balance of both. A fourth mode – EV Mode – allows the driver to select electric-only power for short durations, such as when entering or exiting your neighborhood. A 32 percent reduction in the size (volume) of the Intelligent Power Unit (IPU), containing the lithium-ion battery pack, made possible by the relocation of the DC-DC converter from the IPU to the Power Control Unit (PCU) and by repackaging the battery cells to reduce structural components. Like in the Accord Hybrid, the DC-DC converter (previously built into the IPU) has been integrated into the PCU. Yet, the new PCU with built-in DC-DC as a unit occupies the same space, helping improve underhood packaging. The propulsion motor adopts a new proprietary magnetic circuit allowing the reduction of heavy rare metals including the complete elimination of dysprosium and terbium. 1. Based on 2019 EPA fuel-economy ratings. Use for comparison purposes only. Your mileage will vary depending on how you drive and maintain your vehicle, battery pack age/condition, driving conditions and other factors. The 2019 Insight's third-generation i-MMD two-motor hybrid system is a highly efficient powertrain that selects the optimal drive operation under a wide range of driving conditions to combine a fun-to-drive character with excellent fuel efficiency. Detailed energy management for each component, as controlled by the ECU, enables this system to make the best use of both the electric propulsion motor and the gasoline engine to seamlessly provide smooth and responsive performance and to garner exceptional EPA fuel economy ratings. To help maximize efficiency, Insight seamlessly shifts between three distinct drive operations: EV Drive (100-percent electric motor), Hybrid Drive (battery and gasoline providing power to the propulsion motor) and Engine Drive (gasoline engine directly providing supplemental power to the front wheels). Insight's powertrain shifts seamlessly and smoothly among the three driving operations, using power from the Atkinson-cycle i-VTEC® 4-cylinder engine and the electric motor to suit the driving conditions moment to moment. An animated visual display of current operation power flow, including regeneration, can be displayed. All-electric EV Drive operation occurs when moving away gently from a stop, during light cruising and acceleration, and when braking. The gasoline engine is off and is decoupled from the drivetrain to reduce friction. Drivers can also manually select EV Drive by pressing a button on the center console, enabling pure electric operation for roughly a mile on a full charge. The electric propulsion motor alone powers the front wheels, as the gasoline engine (decoupled from the drive wheels) powers the electric-generator motor, which in turn supplies power to the battery pack or, when power demands are high, directly to the electric propulsion motor. In this type of operation, the system works as a "series hybrid." The Atkinson-cycle i-VTEC® engine is connected to the propulsion motor providing supplemental power directly to the front wheels. This is accomplished by a high-capacity lock-up clutch that connects the generator motor (always linked to the engine) and the electric propulsion motor. In this type of operation, the system works as a "parallel hybrid". The 1.5-liter DOHC i-VTEC® 4-cylinder Atkinson-cycle engine develops a peak 107-horsepower (SAE net) at 6,000 rpm and 99 lb.-ft. of torque (SAE net) at 5,000 rpm. The culmination of decades of research and development, this powerplant achieves a maximum thermal efficiency of 40.5 percent, putting it at the leading edge of efficiency among gasoline-powered engines in mass-production vehicles. Advances in engine control tuning together with other technologies combine to create excellent power characteristics, exceptional fuel efficiency and very low emissions. This clean-running engine meets LEV3-SULEV30 emission standards. Since the gasoline engine can be decoupled from the rest of the drivetrain, it only operates as needed and primarily to generate electricity. Depending on the battery's state of charge and other parameters, the engine will automatically shut off during deceleration, or when the vehicle is at a stop. When needed, the gasoline engine restarts automatically without action from the driver. However, when the driver desires extra power in situations such as highway passing, even higher performance can be invoked by depressing the throttle pedal through a resistance point, or "click point," at roughly the three-quarter-point of pedal travel, bringing the full power of the engine and electric motor together for maximum acceleration, regardless of driving mode. The engine has a displacement of 1,498 cubic centimeters. Cast-in iron cylinder liners provide long-lasting durability. Each journal on the forged-steel crankshaft is micro-polished to reduce internal friction. The 1.5-liter engine has cylinder bores that are offset from the crankshaft to help reduce piston-sliding friction. This gives the connecting rods a more favorable angle during each power stroke, which reduces side loading on the pistons and, in turn, improves efficiency. High pressure diecasting has allowed for lightest-in-class pistons, which have a carefully optimized skirt design to minimize reciprocating weight. This weight reduction also minimizes vibration and increases operating efficiency. The 1.5-liter engine has a lightweight cylinder head made from pressure-cast aluminum alloy. A silent chain drives dual overhead cams and four valves per cylinder. The cam drive is maintenance free throughout the life of the engine. A high tumble-effect intake port design combines with an optimized surface-to-volume ratio that improves combustion efficiency while reducing unburned hydrocarbon emissions. This combustion chamber shape, along with a precise combustion control and other anti-knocking technologies combine to enable a high compression ratio of 13.5:1, yet the engine still operates on regular unleaded fuel. Insight's engine uses an advanced valve-control system to blend high power output with high fuel efficiency and low emissions. The system combines E-VTC (Electronic Variable Timing Control), which continuously adjusts the intake camshaft phase, with Variable Valve Timing and Lift Electronic Control (VTEC), which changes the lift profile, timing and duration of the intake valves' operation. A key contributor to the Insight's low emission performance is the combination of a close-coupled catalytic converter with an under-floor catalytic converter. The close-coupled converter mounts directly to the cylinder head for fast activation after the engine is started. It is followed by a second catalytic converter located under the floor. They combine to help Insight meet stringent LEV3-SULEV30 emission standards. Insight's engine has an exhaust manifold that is cast directly into the aluminum alloy cylinder head to reduce weight and complexity, and to position the catalytic converter as close as possible to the combustion chambers. A high-efficiency converter mounts directly to the exhaust port of the cylinder head for extremely rapid converter activation after engine startup. Insight's engine features friction-reducing technologies designed to improve efficiency. The outer skirts of lightweight aluminum pistons feature a low-friction coating applied in a unique pattern. The result is reduced overall friction as the pistons move within the cylinder bores. The latest advances in plateau honing further lowers the friction level between the pistons and the cylinders by creating an ultra-smooth surface. This also enhances the long-term wear characteristics of the engine. Low viscosity oil (0W-20) also reduces friction. Other contributors to overall operating efficiency are a special 2-stage oil pump relief valve, low-friction oil seals, special low-drag piston ring design, low-friction cam chain guide and arm and a lightweight crankshaft. The 2019 Insight uses a pair of new-generation electric motors: a propulsion motor that drives the wheels and a generator motor that produces electricity. Both motors have been upgraded from the previous generation i-MMD. The Honda-developed electric motors use magnets containing no heavy rare-earth metals. The propulsion motor is rated at 129-horsepower and 197 lb.-ft. of torque. When in regenerative mode, the propulsion motor converts the kinetic energy of the decelerating vehicle into electrical energy to recharge the battery. Its operation is seamlessly coordinated with Insight's electric-servo braking system (see the Chassis section for more information). A separate generator motor is driven by the gasoline engine to generate electric energy to drive the propulsion motor when the vehicle is operating in Hybrid Drive mode. This generator motor can also start the gasoline engine when the vehicle is in idle-stop mode. Insight's compact intelligent Power unit (IPU) is positioned under the rear seat base, instead of in the trunk and behind the rear seatback as in earlier-model Honda hybrid vehicles. This repositioning means Insight offers the same roomy trunk utility and folding rear seatback versatility of a conventional non-hybrid sedan. The IPU packages a specially configured Li-Ion battery pack that powers Insight's electric propulsion motor. Improved battery control systems and revised battery chemistry allow the new battery to operate over a broader state-of-charge range for improved efficiency. Battery temperature is controlled by a fan system that pulls air from the interior of the vehicle via vents located beneath the rear seat bottom. The battery pack is covered by a special warranty that covers defects in material and workmanship for eight-years/100,000-miles or ten-year/150,000 miles depending on the state of purchase/registration. Insight's Drive-by-Wire throttle system replaces a conventional throttle cable with smart electronics that "connect" the accelerator pedal to a throttle valve inside the throttle body. This results in reduced under-hood clutter and lower weight, as well as quicker and more accurate throttle actuation. A specially programmed "gain" rate between the throttle pedal and engine offers improved drivability and optimized engine response to suit specific driving conditions. Honda's Drive-by-Wire throttle system evaluates the current driving conditions by monitoring throttle pedal position, throttle valve position, engine speed (rpm) and road speed. This information is used to define the throttle control sensitivity that gives Insight's throttle pedal a predictable and responsive feel that meets driver expectations. To promote quiet, efficient driving, the Insight's throttle pedal has a "click point" at approximately the three-quarter point in its travel to help provide a cue for the driver. By operating the Insight in the lower three-quarter throttle pedal range, EV operation is increased and overall fuel efficiency is improved. Should the driver need full power for acceleration or mountain driving, the pedal can be easily depressed through the click point to provide maximum power to suit the driving conditions. Like the latest Accord Hybrid, Insight is not equipped with a conventional stepped or continuously variable transmission. Instead, motive force transfer is accomplished through the interaction of Insight's gasoline engine and two electric motors. Coordinated by the ECU, this form of drive force transfer offers smooth and predictable acceleration matched with efficient low-rpm highway cruising when the gasoline engine is in operation. Gasoline engine shutdown is seamlessly integrated into the operation of the vehicle when appropriate. When cruising at mid- or high-speeds in the high-efficiency range of the engine, a lock-up clutch is engaged, connecting the drive motor to the generator motor to transmit engine torque directly to the drive wheels as efficiently as possible (Engine Drive operation). In EV Drive operation, when the battery-powered drive motor is used for either acceleration or regenerative braking, a clutch disengages the stopped gasoline engine from the drivetrain to eliminate efficiency loss from mechanical friction in the engine. Improving efficiency and reducing weight and size, the drive force transfer system of the third-generation i-MMD integrates the torque limiter within the flywheel. With Insight, kinetic energy from deceleration is turned into electrical energy through a regenerative braking system. This captured energy is then stored in the Li-Ion batteries. The traction motor acts as a generator that can recharge the batteries during braking, gentle deceleration or coasting. Insight's regenerative braking system intelligently apportions braking power between the hydraulic brakes and the electric motor to optimize efficiency and braking performance. driving by reducing stress on the brake system while simultaneously increasing battery charging via regeneration. 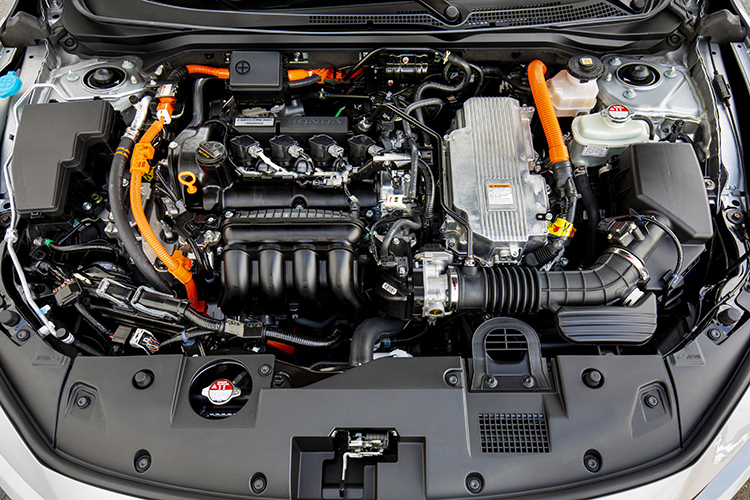 Insight's engine is engineered for low emissions, and is certified to the LEV3-SULEV30 standard for 120,000 miles (see the Body section for more information). Insight's engine requires no scheduled maintenance for 100,000+/- miles or more, other than periodic inspections and normal fluid and filter replacements. The first tune-up includes water pump inspection, valve adjustment, and the installation of new spark plugs. To eliminate unnecessary service stops while ensuring the vehicle is properly maintained, Insight has a Maintenance Minder™ system that continually monitors the vehicle's operating condition. When maintenance is required, the driver is alerted via a message on the Driver Information Interface (DII). The Maintenance Minder™ system monitors operating conditions such as oil and coolant temperature along with engine speed to determine the proper service intervals. Depending on operating conditions, oil change intervals can be extended to a maximum of 12,000 miles, potentially sparing the owner considerable expense and inconvenience over the life of the vehicle. The owner-resettable system monitors all normal service parts and systems, including oil and filter, tire rotation, air-cleaner, transmission fluid, spark plugs, coolant, brake pads and more. To reduce the potential for driver distraction, maintenance alerts are presented only when the ignition is first turned on, not while driving. 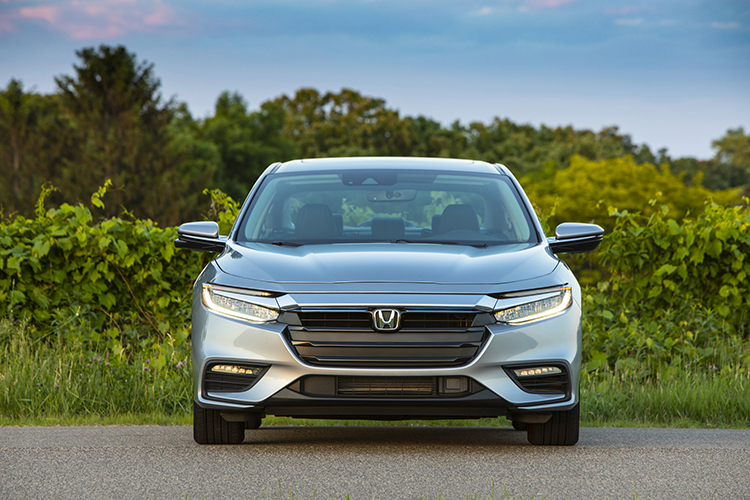 The 2019 Honda Insight is built on the foundations of the company's highly acclaimed 10th-generation Civic platform and incorporates all of its key engineering features, including its long-wheelbase design, rigid yet lightweight body, sophisticated suspension system, and variable ratio electric power steering, all of which contribute to Insight's standout quality as the most nimble, responsive and refined car in its class. Consistent with Insight's positioning as a more premium compact sedan, slotted above Civic in the Honda lineup, Insight features distinctive styling, trading Civic's high-energy, youthful vibe for a more sophisticated and upmarket feel. Its elegant and aerodynamic design is highlighted by all-LED exterior lighting, narrow A-pillars, a flush-mounted windshield and an efficient greenhouse design that contributes to reduced cabin noise by promoting smooth, quiet airflow. Premium exterior features including heated outside mirrors, and LED headlights with auto high beams contribute to Insight's premium look and feel. The single most significant changes to Insight's body structure is a new floor structure that supports and protects the lithium-ion hybrid battery back, located beneath the rear seats. Insight's long wheelbase, wide stance and low center of gravity contribute to its refined ride quality and firmly planted handling character, while also benefitting interior space, where Insight claims both class-leading passenger space and second-row seating comfort. A low lift-over height of 26.5 inches and a maximum trunk opening width of 39.7 inches enables easy loading and unloading of bulky items, as does the flat trunk floor, which measures 54.9 inches wide and 40.6 inches deep. The floor and trunk sides are carpeted to help protect cargo during transit, and also to help prevent road noise from entering the passenger cabin. Insight's trunk will accommodate three soft suitcases or four golf bags. A removable floor panel hides the included tire repair kit and a tool for removing the battery (see the Powertrain section for more information). Underneath the floor panel are four storage bins, the largest two of which add the equivalent of 0.6 cu. ft. of rectangular storage to Insight's already versatile cargo area. A single cargo-area light provides illumination when the trunk lid is open. 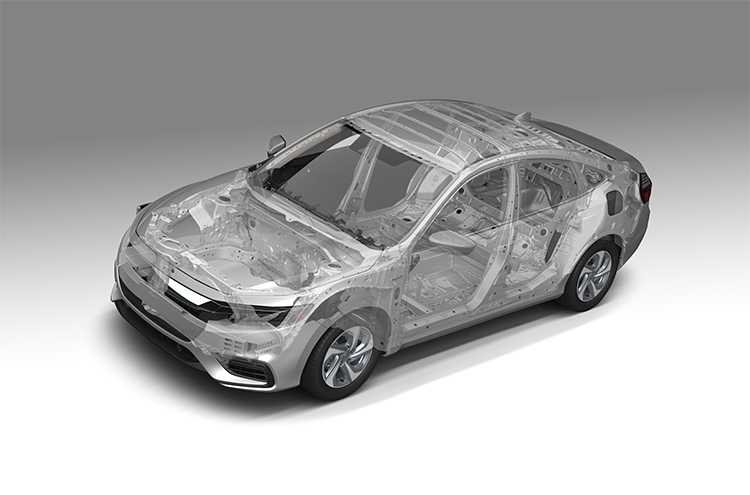 As an integral part of the 2019 Insight structure, Honda's proprietary Advanced Compatibility Engineering™ (ACE™) body-structure enhances occupant protection and crash compatibility in frontal collisions. ACE™ utilizes a network of connected structural elements to distribute crash energy more evenly throughout the front of the vehicle, thus reducing the forces transferred to the passenger compartment. ACE™ channels frontal crash energy to both upper and lower structural elements, including the floor frame rails, side sills and A-pillars. The ACE™ structure used on the new Insight features a special crash stroke technology that helps Insight target the highest ratings in rigorous federal crash tests. With crash stroke technology, in a frontal collision the lower section of the front vehicle frame hinges to direct the engine down and rearward, helping direct crash energy into the vehicle's floor while also minimizing cabin intrusion. Insight was designed to have the best aerodynamic performance in its class, directly improving both fuel efficiency and interior quietness. Computational fluid dynamics (CFD) was used to measure the car's efficiency during the design phase, followed by scale-model wind tunnel testing and finally by full-scale wind-tunnel testing. The reduction in drag is owed to sophisticated and comprehensive measures found throughout the vehicle exterior, engine-room airflow, and even out-of-sight underbody areas. In front, specially shaped components including aerodynamically-shaped front grille, guide airflow through the radiator and into the engine's cold-air intake, while aerodynamically-shaped bumper corners channel the remaining airflow over, around and under the vehicle. Along with narrow A-pillars and flush-mounted glass, these contribute to Insight's efficient passage through the air. In back, the relaxed slope of the rear roofline and rear window, and subtly lower rear profile, further improve aerodynamic efficiency. Furthermore, the rear wheel housing and taillight are designed to reduce vortices. Underneath, the new Insight features the flattest underbody of any Honda production vehicle. A molded under-panel is positioned directly beneath the front fascia, smoothly starting the rearward flow of air beneath the vehicle. An aluminum under-tray is positioned underneath the engine and transmission and features a cooling duct that allows ambient airflow to the hydraulic engine mount. Front strakes are positioned right in front the front tires to reduce tire wake. Side under-panels extend from behind the front wheels all the way to the rear of the vehicle, significantly smoothing the airflow as it travels rearward, while also reducing wind noise in the passenger cabin. Like at the front, rear strakes are positioned right in front of the rear tires to reduce tire wake. Insight employs selectively-tempered "soft zone" technology. This special forming technique allows the creation of specially tempered areas, or soft zones, within an ultra-high-strength hot-stamped steel part. As a result, simpler, lighter components are able to provide the appropriate energy pathways necessary to absorb crash forces. The process minimizes both parts count and weight. The process involves heating the sheet steel to 930-degrees Centigrade before simultaneously stamping and cooling key areas of the part. A laser cutting trimming process then completes the component. Located where the B-pillar joins the lower sill, a built-in soft zone is designed to bend during a side collision, channeling crash forces away from the passenger compartment and into the B-pillar and lower sill. The soft zone's advanced high-strength steel material is rated at 550-650 MPa, compared to the much stronger 1500 MPa hot-stamp steel of the overall B-pillar and lower sill. The rearward ends of the two rear unibody frame rails each contain a pair of soft zones designed to fold in a controlled, three-bend manner in the event of a rear impact, helping to attenuate crash energy. The rated material strength of these soft h-strength steel zones is 700-800 MPa high, compared to the much stronger 1500 MPa hot-stamp steel of the overall rear frame rail. Applied to the forward edge of the front door hinge pillars, just behind the front wheel openings, a "T-direction welding" technique is anticipated to help the 2019 Insight earn top ratings in the rigorous IIHS narrow offset frontal collision test, based on Honda internal testing. Instead of using lateral overlapping welded joints on the hinge pillars, which would be affected negatively by the wheel moving rearward and striking the pillar in an offset frontal collision, the hinge pillars instead use a longitudinal welded seam designed to withstand sheer forces generated in such a collision. Multiple steel grades are used in Insight's body construction to help achieve excellent overall vehicle dynamics, optimize safety performance, and lower noise, vibration and harshness (NVH). Materials range from five different grades of steel, including premium hot-stamp steel and ultra-high-strength steel used in key unibody locations, to aluminum for the hood and front bumper beam. All were chosen to achieve the best combination of strength, rigidity, dynamic performance and light weight. 59 percent of the body structure is composed of high-strength steel. In addition, hot-stamp ultra-high strength steel comprises 14 percent of the body structure. Incorporating aluminum in key areas saves 22.8 pounds compared to traditional all-steel construction, providing high strength with light weight that directly benefits ride, handling, fuel efficiency, emissions reductions and safety performance. The biggest weight savings from a single component comes from the use of an aluminum hood, which saves 16.7 pounds compared to a steel hood. Another key aluminum body component is the front bumper beam, which saves 6.1 pounds compared to a steel unit. Located beneath Insight along both sides of the passenger cabin are absorptive undercovers that help mitigate road and wind noise. Sound-absorbing rear fender inner liners further attenuate wind and road noise. The 2019 Insight has a high level of body sealing to dramatically reduce the levels of noise inside the vehicle. Included are 9.3 sq. in. of weld seals and other sealers to reduce vibration and the transmission of noise. Triple sealed door openings, lower door-edge seals, and gap seals at the rear edges of the doors help keep wind noise from entering the cabin. Special air leak reduction moldings and clips, located where the side windows slide into the doors, reduce the possibility of audible air leaks occurring in these locations. Along with internal bracing, acoustic hole seals fill open areas inside the door structures, significantly reducing the amount of wind and road noise and vibration that can reach the cabin. The same Thinsulate™ material that is used in the doors is also used to reduce sound transmission through the roof, the A- and C-pillars, wheel wells, and rear floor. Insight uses 4.7mm tempered windshield glass to help place it near the top of its class in wind-noise performance. In addition, Insight has 4.0mm tempered front door glass and 3.5mm tempered rear door glass. The available one-touch power moonroof with tilt functionality uses 3.5mm tinted and tempered glass. The new Insight's exterior strongly emphasizes luxurious styling and aerodynamic efficiency. In front is a premium interpretation of Honda's "flying wing" grille, topped by a bold and bright trim piece that sweeps out to the front corners of the vehicle. A full array of LED lighting is standard, including LED fog lights on the Touring trim. Finely tuned aerodynamics control the airflow through, over, around and under Insight. Air flows smoothly over the sloped aluminum hood, and then across the raked and flush-mounted windshield and over the coupe-like roofline. The body sides are distinctive, elegant and dynamic, with a combination organic contours and sharp character lines creating an ultra-modern look. Bright trim surrounding the side glass further emphasizes the graceful greenhouse shape. The long wheelbase combined with standard 16-inch or available aerodynamic 17-inch wheels all add further substance and solidity to Insight's profile. In back, the Insight sedan's smoothly tapered roofline and rear glass meet the short rear trunk lid, imparting the visual look of a hatchback coupe. The wing-shaped LED taillights wrap around the body sides and onto the trunk lid, providing a characteristic and substantial appearance for the third-generation Insight. A crisp rear edge of the trunk lid helps airflow separate cleanly off the rear of the vehicle, contributing to its high fuel economy ratings, while an additional bright trim above the rear bumper adds a final dash of elegance. All 2019 Insights incorporate a wide range of light-emitting diode (LED) exterior lighting features, including standard LED high- and low-beam headlights, LED daytime running lights (DRL), LED front position lamps, LED one-touch front turn signals, LED taillights, LED brake lights, and an LED Center High Mounted Stop Lamp (CHMSL). Additionally, the Touring trim includes LED fog lights and LED side mirror-mounted turn signals. Arranged in a low, sleek and compact in-line display, the standard LED high beams provide a longer a wider range of visibility during nighttime driving. The low beams are comprised of six LEDs per side, while the high beams use three additional LEDs per side. LED lighting has several advantages beside improved visibility. The LEDs are both mercury free and lead free, which benefit the environment. They require less power to operate than traditional halogen lighting, which helps Insight's fuel efficiency. They also have a longer life and are maintenance free. And finally, the LED arrays are extremely versatile, enabling the new Insight to offer breakthrough design elements not previously possible. The new 2019 Insight's auto high-beams use a camera located on the rearview mirror mount to continually scan for oncoming traffic. Included on all trims, the system illuminates the high-beams except when it detects oncoming or proceeding traffic and then automatically switches to the LED low-beams. Requiring no intervention or action from the driver, the auto high-beam feature significantly improves nighttime illumination for enhanced active safety. There are numerous advantages to the auto high-beam system, including earlier driver detection of objects in the roadway during nighttime driving. Earlier detection of objects can lead to a reduction in stopping distances which in turn results in a higher level of driver confidence. The system functions when the headlight switch is in the Auto position, and may be disabled and reactivated by a quick pull on the high-beam stalk. An AHB icon appears on the instrument panel when the system is functioning. The auto high-beam feature automatically disengages during rainy conditions, when low-beam lighting is preferable. Four consecutive wipes of the windshield wiper deactivate the system. Auto high-beam then automatically reactivates when wiper use ceases. The heated power side mirrors are aerodynamically optimized to help reduce wind noise and minimize turbulence. The side mirror housings on all Insight models are body-colored. Touring trims take it one step further with the addition of integrated LED turn indicators. The side mirrors can be manually folded for greater convenience in tight parking situations. On Insight EX and Touring trims, Honda LaneWatch™ utilizes a camera located below the passenger-side exterior mirror to display a wide-angle view of the roadway on the Display Audio touchscreen when either the right turn signal is activated or a button on the end of the turn signal stalk is pressed. Turn-signal activation of the LaneWatch™ system can be turned on or off. Insight Touring trims include a one-touch power moonroof with tilt feature that will fully open or close with a single touch of a switch. The moonroof mechanism was purposely designed to provide ample headroom. The moonroof has a sliding sunshade that opens with the roof and can be closed to block sunlight. To tilt or slide the moonroof, the driver or front passenger needs only to fully press the ceiling-mounted switch once (instead of pressing and holding it for several seconds). The moonroof fully opens or closes automatically. However, if the operator wishes to only partially open or close the moonroof (such as to achieve partial ventilation), a lighter touch yields fully manual control. The moonroof can also tilt to provide ventilation. An auto-reverse feature is built in, helping to ensure that the moonroof will not forcefully close if someone's hand or arm is detected in the path of the glass. If an obstruction is detected, the moonroof mechanism will reopen the moonroof. Power windows are standard equipment on all Insight trims and include auto-up and -down operation on the driver and front passenger's windows. Power locks are standard, and a customizable auto-locking feature can be configured using the Driver Information Interface and steering wheel-mounted controls. Power Door Locks with Remote Entry and Programmable Auto-Locking DoorsInsight LX features a convenient manual remote entry system, while Insight EX and Touring trims include Honda's Smart Entry system. Remote Entry SystemInsight LX's manual remote entry system allows the driver to lock or unlock the doors and trunk with the press of a button on the key fob. This system has a range of up to 50 feet and includes an emergency "panic" button that sounds the horn when pressed. In addition, the manual remote entry system features a security system that is automatically activated when the lock button on the remote is pushed. A beep of the horn confirms that the security system is set. Any unauthorized entry will then sound the alarm. When leaving the car, a press of the soft-touch button on exterior door handle locks all the doors. Alternatively, a press of the Lock button on the Smart Entry remote will also simultaneously lock all the doors. 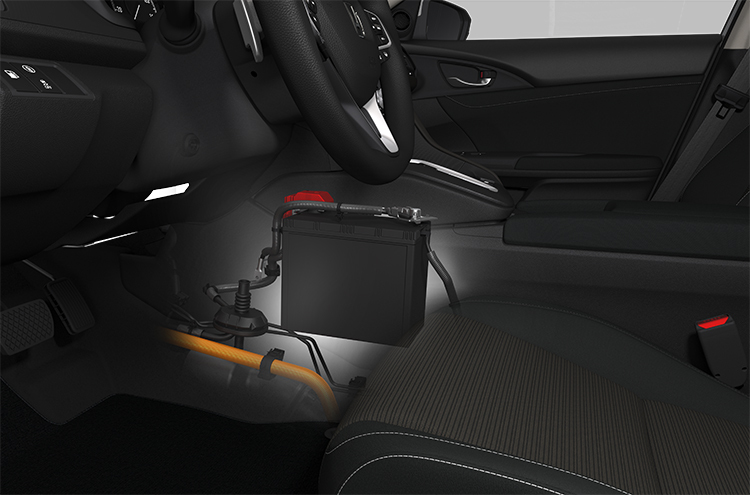 The Smart Entry system will not allow the transmitter fob to be locked in the interior or the trunk of the Insight. All trims have variable intermittent windshield wipers. Touring trims add rain-sensing functionality as described below. Designed to cover the maximum possible windshield area, the left (driver) and right (front passenger) windshield wipers are 25.5 inches and 18 inches long, respectively. For better appearance, the wipers are hidden low on the front cowl when not in operation. The wiper motor uses a built-in ECU, reducing complexity compared to the previous Insight's wiper mechanism. As well, a new wiper motor assembly saves 3.08 pounds compared to the previous generation. Mounted on the windshield behind the rearview mirror, a Rain Light Sensor combines two functions into one unit to control the Smart Wipers and Rain Sensing Wipers functions listed below. Laws in some states require drivers to turn on the headlights when the wipers are operating in the rain. In all trims, the new Insight helps drivers comply with these laws by automatically illuminating the headlights when the wipers are activated in rainy conditions (with headlight switch in Auto). The light sensor detects the ambient brightness and determines when to turn on or off the headlights, while also increasing the illumination of the wiper switch and instrumentation for good visibility. In a first for Insight, the Touring trim includes rain-sensing wipers that automatically activate if water is detected on the windshield. The rain sensor detects precipitation on the windshield and controls the wipers based on quantity of water detected. The sensitivity can be controlled by adjusting the intermittent wiper. The 2019 Insight is available in seven exterior colors, including four metallic colors and three pearl colors. All colors evoke a smart and luxurious character that compliments Insight's dynamic body-panel curves and angles. Insight's sophisticated chassis design, along with its more rigid body, provides the basis for its class-leading ride comfort, nimble handling performance and overall high level of dynamic refinement. Carefully adapted from the 10th-generation Civic platform, Insight's chassis further extends its capabilities thanks to revised springs, dampers and bushings, plus standard 16-inch or available 17-inch alloy wheels. Other key chassis features include fluid-filled front suspension bushings for enhanced ride quality and the reduced transmission of road vibration (Touring models: front and rear); specially tuned dual-pinion, variable ratio Electric Power Steering (EPS) for confident steering response and feel; and numerous driver aids including Straight Driving Assist, Agile Handling Assist and an Electric Parking Brake (EPB) with Automatic Brake Hold. Insight's suspension system puts it at the top of its class in terms of ride comfort and compliance, as well as in handling response and stability. The suspension is comprised of front MacPherson struts and a E-shaped multi-link rear system with a rigid subframe. Using a strut-style front suspension improves the room available for crash reinforcement, and the new multi-link rear suspension improves ride and handling, while helping to maximize space for rear-seat passengers, the hybrid powertrain's electronics, and cargo. Front Fluid-filled compliance bushings – a rarity within the Insight's competitive set – further advance the Insight's mission as a luxuriously comfortable hybrid sedan (Touring models include front and rear). Front and rear stabilizer bars on all trims improve turn-in response while reducing body roll during cornering. The stabilizer bars are bonded to their mounting bushings and use low-friction connecting links for smoother operation. The MacPherson strut front suspension is engineered to provide a comfortable and luxurious ride, precise and responsive handling, and maximum isolation from road noise, vibration and harshness (NVH). 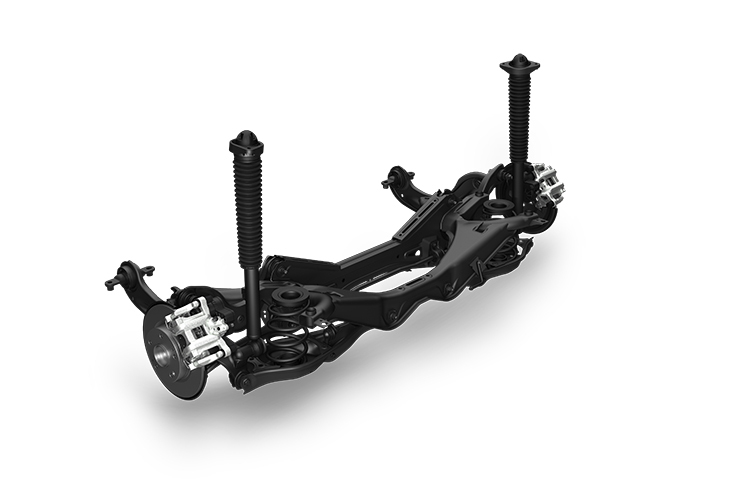 Unique L-shaped lower suspension arms, similar in design to those on the all-new 10th-generation Accord, optimize the load distribution of both lateral and longitudinal forces. The arms provide high lateral (side-to-side) stiffness, which affords a secure tire contact patch for excellent cornering grip along with intentionally less longitudinal (fore-aft) stiffness to help deliver both effortless steering and driving comfort. 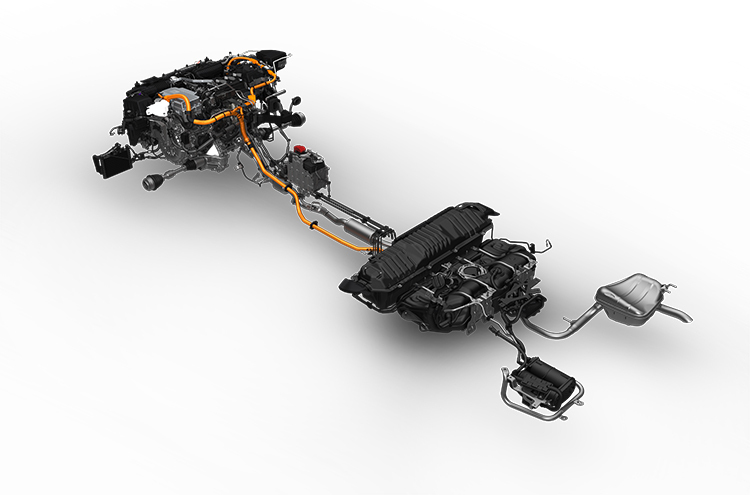 The suspension arms are connected to the subframe and to the body via front fluid-filled bushings (Touring models: front and rear), which significantly reduce the transmission of NVH into the passenger cabin. The upper mounting structure for the struts is specially designed to accommodate a reduced hood height. This provides several benefits, including enhanced frontal visibility and reduced aerodynamic drag, which contributes to improved fuel efficiency. All front suspension arms and the front hub carriers are steel, and all Insight trims use a tubular front stabilizer bar. Load distribution of lateral and longitudinal forces is optimized, helping to deliver maximum cornering grip with luxurious ride compliance and comfort. The third lateral link allows suspension toe to be optimized during cornering, improving Insight's handling response and line tracing. Mounted on a rigid steel subframe, the E-shaped multi-link rear suspension includes stamped-steel links and arms, and cast-aluminum hub carriers. The trailing arms are located on the unibody in fluid-filled bushings (Touring models) for exceptional control of noise, vibration and harshness (NVH) while maintaining precise handling. All Insight trims use a solid rear stabilizer bar for sharper turn-in and body roll control. Suspension on Touring models add rear fluid-filled bushings to provide superior ride isolation as well as chassis vibration control. These bushings are specifically tuned to provide minimum vibration transfer to the occupants, raising the new Insight to the level of one class above in terms of noise, vibration and harshness (NVH) suppression. The lower front control arms and rear trailing arms pivot in the fluid-filled bushings, which is designed to absorb road harshness and vibration for a smoother ride, while still retaining the precision needed for sharp, nimble handling. For the front suspension only, a specially ventilated under-cover allows airflow to cool the bushings, ensuring more consistent performance in all ambient temperature conditions, as well as better long-term durability. New for Insight, the Electric Power Steering (EPS) incorporates dual-pinion gears and a variable gear ratio for a comfortable, confident and refined driving experience as well as excellent road feel. Compared to a traditional single-pinion steering system, the dual-pinion EPS utilizes the physical steering input from the driver as well as from a supplemental electric motor. A non-contact torque sensor measures the driver's steering effort and an ECU determines how much electric motor assist to add, with the result being a seamless, natural feeling steering in all situations. The steering ratio is variable over a 16.3 percent range with a final full off-center rotation ratio of 12.57:1. This provides 2.54 turns lock-to-lock, providing the optimal initial response with a light feel that is useful in maneuvering and parking along with a firmer feel at highway speeds for added stability. In the low- to mid-speed range, the variable steering ratio has a uniquely linear gain, which makes Insight comfortable, predictable and confident to drive. The new Insight's Straight Driving Assist reduces the steering effort required when driving on a sloped or crowned road. When the Straight Driving Assist system detects that steering effort is being applied to keep the car driving along a slope, the Electric Power Steering system applies motor assist. This reduces the muscle effort required to maintain the desired direction on the sloped road to the same level as is required on a flat road. Employing a microprocessor-controlled combination of electronic regenerative braking and hydraulic braking, Insight provides a smooth and linear braking response in all driving conditions, while also improving fuel efficiency. The electric servo braking system is fully hydraulic from the master cylinder all the way to the 4-wheel disc brakes, just like a traditional braking system. The key difference is that the braking function is electronically controlled rather than a purely mechanical activation, allowing regenerative braking from the electric drive motor to slow the vehicle, rather than the hydraulic friction brakes under many circumstances. Besides its efficiency payoffs, the system offers excellent feel and feedback through the brake pedal. When the driver applies the brake pedal, a signal is sent to the vehicle's Electronic Control Unit (ECU), which determines the appropriate amount of braking force to assign to regenerative braking through the electric drive motor and to the hydraulic friction braking system. In many light-to-moderate braking situations, friction braking is not needed until the vehicle speed drops below 5 mph, as the vehicle slows to a final stop. When the ECU determines that friction braking is needed, the dual hydraulic master cylinder pumps brake fluid through the system. Midway between the master cylinder and the calipers is a separate motorized electronic actuator. This actuator receives an electronic signal, generated in the master cylinder module that precisely defines how the driver has applied the brakes – soft or hard, slow or fast. The actuator then directly apportions hydraulic pressure to the brake calipers at each wheel. To maximize the Insight's accident-avoidance capabilities, the system delivers an extra-strong braking response when the driver increases the pedal force. The 2019 Insight is equipped with 11.1-inch diameter ventilated front brake rotors (0.9-inch rotor thickness) clamped by single-piston brake calipers. The rear disc brakes incorporate 10.2-inch diameter solid rotors (0.4-inch rotor thickness) paired with single-piston brake calipers. The low-friction design of the brake calipers reduces energy losses when the brakes are not in use, directly improving fuel efficiency. The 2019 Insight's electric servo brake system provides efficient regenerative braking along with smooth and consistent brake control and feel. Regenerative braking begins as soon as the driver releases the throttle pedal, with a strong regenerative braking effect beginning when the brake pedal is depressed and continuing until the point that the vehicle speed drops below 1 mph, when the friction brakes fully engage. The objective is to maximize battery recharging during normal driving – while still maintaining top levels of braking precision and driving enjoyment. Vehicle Stability Assist™ (VSA®) is an Electronic Stability Control system that works in conjunction with Insight's Drive-by-Wire™ throttle and its 4-channel ABS systems to enhance control capability while the vehicle is accelerating, braking, cornering or when the driver makes a sudden maneuver. VSA® also provides a limited-slip differential effect for the driving wheels by applying braking force to a slipping wheel, thereby redirecting driving force to the wheel with more traction. While the driver can reduce the traction control effectiveness allowing more wheel slip during stuck condition by pressing the VSA® button, ABS remains fully operational at all times (see the Safety and Driver Assistance section for more information). Standard on all trims, Agile Handling Assist selectively uses the vehicle's brakes to improve initial turning response and overall cornering ability. Agile Handling Assist utilizes brake vectoring to improve corner traceability and confident handling feel. By applying braking force to the inside wheels during cornering at high lateral G, the system creates a yaw moment, thus generating more turning force and reducing understeer. The Hill Start Assist function helps prevent the vehicle from rolling backwards when the driver switches from the brake pedal to the accelerator pedal while the vehicle is stopped on a hill. Hill Start Assist automatically activates when the vehicle senses a certain incline and is fully stopped in any forward gear when facing up hill or reverse gear when facing downhill. The system uses a longitudinal G-sensor along with a wheel speed sensor to control the hydraulic brake modulator. Hill Start Assist, when activated, will release the brakes when the driver depresses the throttle or if the driver doesn't press the accelerator after a few seconds. The Insight's Electric Parking Brake (EPB) is simpler, more convenient and comfortable to use than a traditional parking brake. The EPB also frees up center console space, allowing a higher console and an extended armrest length. Engaging the parking brake now requires only a pull on a switch on the center console. To release the parking brake, the driver simply presses on the accelerator pedal (while the seatbelt is buckled) when the transmission is in Drive or Reverse, or else pushes on the parking brake switch while operating the brake pedal. Besides promoting the use of the parking brake, EPB makes hill starts easier when the Insight is parked on a grade. As with a traditional manually activated parking brake, EPB functions on the rear wheels only. Electric parking actuators are integrated into the rear brake calipers (see the Comfort and Convenience section for more information). When activated, Automatic Brake Hold retains brake pressure when the vehicle comes to a stop, such as at a traffic light or in heavy traffic. This frees the driver from continually pressing the brake pedal to maintain the vehicle in a stopped position, a significant improvement in driving enjoyment in difficult conditions. Once these steps are taken, Automatic Brake Hold will indicate engagement and then maintain brake pressure when the vehicle has come to a stop, even if the driver later releases the brake pedal. A green "Brake Hold" icon on the instrument panel illuminates to show that the system is functioning. The vehicle then remains stopped – even on a hill – until the driver presses the accelerator pedal. At this point, Automatic Brake Hold seamlessly releases the brakes and the vehicle resumes normal braking function. 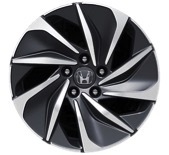 All Insight trims have aluminum alloy wheels. The 2019 Insight LX and EX trims come with 16 x 7.0-inch alloy wheels. The Touring trim is fitted with 17 x 7.0-inch alloy wheels. Every Insight comes standard with low rolling resistance tires for peak fuel efficiency, a smooth, quiet ride, and capable handling in all weather conditions. The Insight LX and EX trims have 215/55R16 93V Michelin EnergySaver A/S all-season tires, while the Touring trim has 215/50R17 91H Continental ProContact TX all-season tires. For all Insight trims, in lieu of a temporary spare tire, a tire repair kit is located under a carpeted floor in the trunk. The objective was to improve fuel efficiency through reduced weight. It also provides additional room for underfloor cargo. The 2019 Insight features an indirect Tire Pressure Monitoring System (TPMS) that uses the ABS wheel-speed sensors to continually monitor the rotational speed of each wheel. Because a tire with low pressure rotates more quickly than one with a higher pressure, by comparing these values with a specifically designed computer algorithm, indirect TPMS can determine when a tire is low on pressure. This information is delivered to the driver in the form of a warning symbol on the instrument panel. Special logic included in the TPMS processor is designed to eliminate false warnings. Indirect TPMS is simpler and lighter than traditional wheel-sensor TPMS, resulting in lower overall vehicle weight, which in turn helps improve fuel efficiency and handling. For 2019, Insight's wheel hubs feature low-friction bearings that measurably reduces rolling resistance, which directly contributes to the improved fuel efficiency. The fuel tanks of gasoline-engine vehicles are paired with carbon canisters that capture and safely contain evaporative emissions, allowing the tanks to be sealed to protect the environment. In a non-hybrid vehicle, normal engine operation purges the carbon canister of these hydrocarbons. However, in the case of high-efficiency vehicles like the new Insight, the engine does not operate often or long enough to adequately purge the carbon canister. Because Insight's fuel tank is pressurized during vehicle operation, it is necessary before refueling to wait a few seconds for the tank to vent to the canister. Thus, when the driver presses the fuel fill door release button, a "Please Wait" message will appear on the MID, underneath a progress bar. The fuel tank is vented and a "Ready" message appears on the MID. Insight is then ready to be refueled after opening the fuel door and removing the special fuel-tank cap. Insight's lightest-in-class 10.6-gallon molded plastic fuel tank is reinforced internally and externally to withstand pressure variations that occur during normal vehicle use. Benefitting from Honda's vehicle packaging expertise, Insight's interior offers exceptional cabin comfort, smart design, advanced technology and intuitive controls. With 97.6 cubic feet of passenger cabin volume, Insight offers the comfortable roominess one would expect from a larger, non-hybrid sedan. Clever packaging of the hybrid system components means that passenger and cargo space is uncompromised. The cabin is highlighted by a graceful and wide instrument panel, an intricately contoured sport steering wheel, a color TFT digital driver's meter and an available 8-inch Display Audio touchscreen. 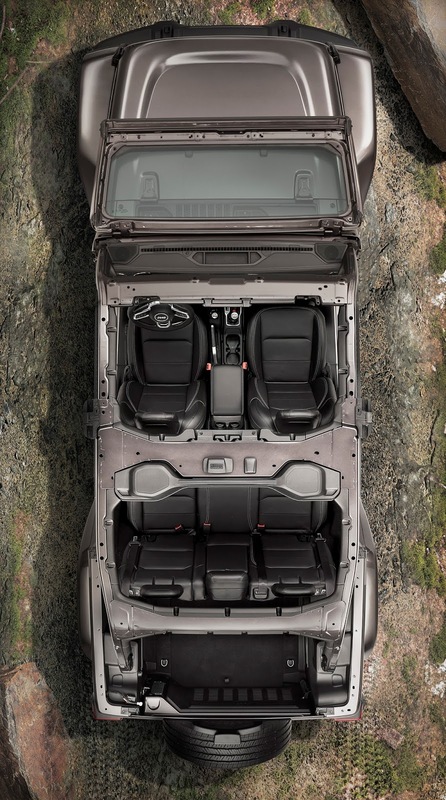 Meticulous attention to the tactile and visual quality of materials elevates the overall premium feeling of the cabin. Insight has class-leading passenger space of up to 97.6 cubic feet and a trunk capacity of 15.1 cubic feet, rivaling conventional midsize sedans. Spacious enough to easily accommodate four large golf bags, the trunk area is easy to access and use, with a low lift-over height and wide opening. Insight LX features a one-piece rear folding seatback, while EX and above trims feature a 60/40 split and folding rear seatback. Insight's unique interior blends a graceful and wide layout with smoothly integrated technology features and high-quality materials. Premium details like genuine double stitching on the passenger-side instrument panel pad help give Insight an upscale look and feel. All Insight models feature handsome instrumentation that blends a classic analog look with modern functionality. Typical of Honda, all important systems and controls in Insight are positioned within easy reach of the driver. Controls for the systems used most frequently are conveniently positioned on the steering wheel. The main instrumentation is an upscale, easy-to-read display that includes a new ultra-slim 7-inch Thin Film Transistor (TFT) driver's meter (left side) that can present a wide range of useful information, and a speedometer on the right side of the instrument package. EX and Touring trims feature a full-color 8-inch color touchscreen Display Audio system with a clean and sleek appearance. The soft-touch switchgear of the Insight is engineered to deliver a high-quality feel and positive action. Insight's front seats are designed to provide welcoming support for a wide range of body types, along with secure lateral support for cornering. To help improve the forward view and create a feeling of openness for rear seat passengers, the front seatbacks have a narrow upper profile and compact head restraints. Insight's seats feature fabric seating surfaces in LX and EX trims, with leather-trimmed seats in the Touring trim, using perforated leather on select areas of the front seats. The driver's seat in LX and EX models is manually adjustable for fore-and-aft, seatback angle and height adjustment. Touring versions feature power-operated versions of the same adjustments, along with adjustable thigh support, for a total of 8-way power adjustability. Touring models also add a front passenger seat with 4-way power adjustability along with three-level heated front seats. Insight's roomy second-row seating is designed for maximum comfort and versatility. In Insight LX, the folding rear seatback is one piece, while in EX and Touring models, a 60/40 split and folding design makes it easy to accommodate passengers or long cargo. Insight's interior offers a range of convenient storage features for the driver and passengers. The center console is specially engineered to offer an upscale appearance coupled with the versatile usability you might expect in a larger crossover. Up front, there is a large, rubber-lined tray designed to secure phablet-sized smartphones. LED lighting is provided for nighttime visibility, with a USB port and 12-volt power outlet positioned nearby. The console's main storage compartment is topped by a padded armrest. A pair of adjustable cup holders are centrally located, and can accommodate large 42-ounce cups when the padded armrest is placed in the rearmost position. By sliding the adjustable cup holder rearward, there's space to accommodate even an oversized drink bottle. Inside the console, a small item tray slides fore and aft the full length of the console. With the cup holder removed, the console offers enough storage to accommodate tablets and other large items. Insight has a trunk capacity of up to 15.1 cubic feet, which is among the largest in the compact sedan class. 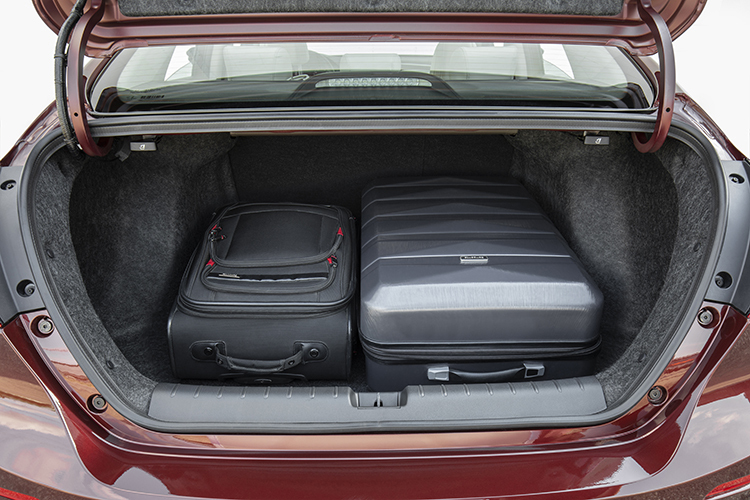 Spacious enough to easily accommodate four large golf bags, the trunk area is easy to access and use. Insight LX features a one-piece rear seatback that can be lowered to expand the cargo area, while EX and Touring models have a 60/40 split and folding rear seatback. All-important systems and controls are positioned within easy reach of the driver. Controls for the systems used most frequently – audio, cruise control, Bluetooth® , navigation with voice recognition (optional) and Multi-Information Display – are conveniently positioned on the steering wheel. The main instrumentation is an easy-to-read, high-contrast, 7-inch Thin Film Transistor (TFT) display on the left side of the instrument cluster, and speedometer on the right. As in all Hondas, Insight's soft-touch switchgear is engineered for a high-quality feel and positive action. The thick, intricately contoured sport-inspired steering wheel, leather-wrapped on Touring trims, incorporates the most commonly used controls, allowing drivers to keep their hands on the wheel and their attention on the road. Bluetooth® and audio system controls are located on the left side of the steering wheel, along with controls for the Driver Information Interface (DII). 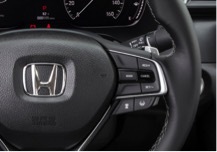 All Insights have Honda Sensing® with LKAS and ACC controls located on the right side of the steering wheel. In all trims, the steering wheel offers manual tilt and telescopic adjustment. All Insight models feature a fully electronic, shift-by-wire gear selector that takes the place of a conventional console-mounted shift lever. Park, Reverse, Neutral, and Drive are selected with the push of a button (see the Powertrain section for more information). The 2019 Insight features instrumentation that blends a classic analog look with contemporary functionality. On the right is an analog speedometer with an electronically activated pointer. Just to the left is a color 7-inch (diagonal) Thin Film Transistor (TFT) display. On its left side, the TFT has a depiction of an analog power flow monitor. On the right portion of the TFT, in the area that is positioned between the power flow meter and the physical analog speedometer, is a Driver Information Interface (DII) zone that can present a range of alerts and information, including trip computer, audio, phone, navigation, traffic sign recognition and safety support. A multi-angle rearview camera is standard on all Insights, with three viewing angles (wide view, normal view and top view). Drivers may select their preferred view according to the driving conditions. The rearview image is displayed on the central display. Rearview camera systems in EX and Touring models feature dynamic guidelines that project the vehicle's future path based on the driver's steering inputs (see the Safety and Driver Assistive section for more information). Insight's instrument panel provides important vehicle information and connectivity content via a Driver Information Interface (DII) area of the instrument display positioned centrally in the instrument display. Controls positioned on the steering wheel allow the driver to cycle the Driver Information Interface (DII) through multiple screens of information from sources including trip computer, phone, audio, maintenance and more. The Maintenance Minder™ system alerts the Insight driver of upcoming maintenance needs via the DII and, should a fault occur with the vehicle, specific warning information will appear. The display indicates when to change the oil, air filter, spark plugs, or coolant, as well as when to rotate the tires. The 2019 Insight features many standard or optional premium features typically found in much more expensive vehicles. From the convenience of available Smart Entry and Push Button Start/Stop, to the ease of use of the Electric Parking Brake (EPB) and Hill Start Assist, Insight offers useful technologies that make driving easier and more convenient. The 2019 Insight offers the upscale convenience of Smart Entry and Push Button On/Off. Smart Entry (EX and Touring trims) allows the driver to approach, open and use the trunk without using a key or pressing a button on the remote. With the remote in his or her possession, the driver simply presses the release button and opens the trunk. As a convenience feature, the Smart Entry system will not allow the transmitter fob to be locked in the interior. In all Insight trims, once the driver has opened the door and is seated, the driver simply pushes the On/Off button positioned on the instrument panel while pressing the brake pedal to start the vehicle. Powertrain operation and certain electrical functions are ended when the On/Off button is pressed again at the conclusion of the drive. For accessory mode, the driver simply presses the On/Off button without pressing the brake pedal. The new Insight's On/Off button features a pulsating light to help the driver more easily locate the button. Insight EX and Touring trims feature standard remote engine start. This enables drivers to start their Insight in advance of the drive, thereby activating the climate control system with a default setting of 72 degrees – particularly helpful in extreme hot- or cold-weather conditions. The system will automatically operate the heater, front and rear defrosters, front heated seats, heated side mirrors, and air conditioning as needed. 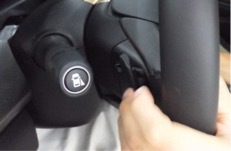 The remote engine start feature is built into the key fob supplied with the vehicle. To start the engine remotely, the owner presses the LOCK button and then holds the ENGINE button for a second. The Insight's hazard lights will flash, indicating that the signal has been received. When the engine is started remotely, the wipers, lighting and audio systems remain off, and the security system remains set. The engine will run for up to 10 minutes after remote starting, and can be extended by another 10 minutes using the same procedure; it will then shut off automatically if the owner doesn't reach the vehicle within that time. When the owner does get to the vehicle within 10 minutes – or extended period if the procedure is initiated a second time – the engine will keep running while the owner unlocks the vehicle, gets in, applies the brake and presses the START button, which turns on all of the vehicle's systems. Insight Touring trims feature the latest generation of HondaLink® telematics functions, including remote engine start using the password-protected HondaLink® Smartphone app. When starting using the HondaLink® app, the remote start functional parameters are the same as when using the key fob to start the car remotely. Key contributors to Insight's quiet, refined interior are Active Noise Control (ANC) and Active Sound Control (ASC). The two systems are comprised of dual overhead microphones, an ANC/ASC electronic processor, and the audio system's speakers. ASC/ANC operates whenever Insight is running, even if the audio system is turned off. ANC is designed to reduce low frequency sound in the cabin caused mainly by the roughness of the road surface. The overhead microphones pick up sound waves and send them to the ANC/ASC processor, which then creates and sends a precisely timed "reverse phase" audio signal to a special amplifier. In turn, the amplifier drives the speakers to cancel the original noise signal. ASC is a related technology designed to improve the engine sound quality by making the sound pressure level more linear as the engine revs increase. Typically, engine noise doesn't increase in a linear way with rising revs; instead there can be many resonances that create peaks and valleys in the sound pressure level and an uneven sound. From idle to redline, ASC helps smooth out the engine sound by reforming the sound signal as needed and sending it to the speakers. In SPORT mode, ASC provides Insight with a more dynamic engine sound profile. After parking, a press of the LOCK button on the remote will simultaneously lock all the doors and trunk. On EX trims and above, a touch of the soft-touch lock button on either ergonomically shaped front door handle locks all doors and trunk to secure the vehicle. The system will not allow the remote to be locked in the interior. Power windows are standard equipment on all Insight trims and include auto-up and -down operation on the driver's and front passenger's windows. Power door locks and heated power exterior mirrors are also standard equipment on all Insight trims. Smart entry is standard on EX and Touring trims. Insight Touring features a power tilting and sliding moonroof with a manual sunshade. An auto-reverse feature is built in, reducing the possibility of a pinched finger or limb. Insight Touring features an electro chromatic interior rearview mirror that automatically dims during nighttime driving to reduce glare from the headlights of following vehicles. All Insights feature a standard automatic climate control system. Insight Touring includes dual-zone operation, for the optimal comfort of both the driver and front-seat passenger. The air conditioning compressor is electrically driven to provide consistent climate control performance even when the engine is not operating. Insight Touring features a HomeLink® universal remote system, located on the interior rear view mirror, which can be programmed with the codes of up to three devices, such as a garage-door opener, security gate or home security system. All Insight trims feature auto-on/off LED (high and low beam) headlights for greater convenience. All trims feature dramatic LED Daytime Running Lights (DRL). Insight's Electric Parking Brake (EPB) makes using the parking brake easier and frees up precious center console space for storage and other functions (see the Chassis section for more information). The Hill Start Assist function helps to prevent Insight from rolling backwards when the driver switches from the brake pedal to the accelerator pedal while the vehicle is stopped on a hill (see the Chassis section for more information). The new Insight expands in-vehicle connectivity and audio performance with the latest generation of advanced technologies. Cutting-edge features include an 8-inch capacitive touchscreen Display Audio interface featuring an Android operating system, and an all-new Honda Satellite-Linked Navigation System™ developed in cooperation with the experts at Garmin®. Insight's Display Audio system also enables simplified smartphone connectivity with a single cable connection. The available system is compatible with the Apple CarPlay and Android Auto platforms, giving customers seamless integration of key smartphone features and functions, including smartphone-powered GPS navigation and voice-controlled search capabilities. 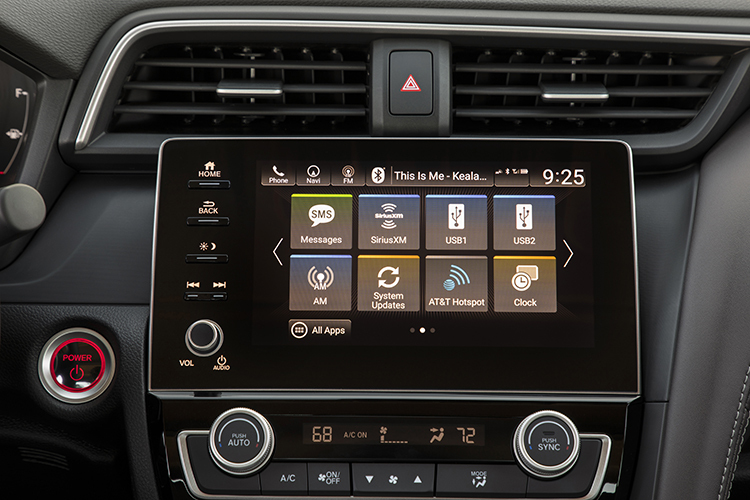 Featuring standard Pandora® integration, Bluetooth® streaming audio and many other content choices, including available SiriusXM®, Insight offers a rich selection of entertainment options. Insight Touring also offers the next-generation of HondaLink® telematics with new capabilities such as emergency roadside assistance, remote locking/unlocking and engine start, stolen vehicle tracking, remote diagnostics, geofencing, speed tracking and much more. Audio systems vary by trim, starting with six speakers and 140 watts on LX, 8 speakers and 180 watts the EX trim, and 10 speakers and 450 watts on Touring models. All trims feature USB charging ports (two 2.5-amp ports on EX and Touring) along with Bluetooth® connectivity. Insight LX has a standard 160-watt AM/FM radio audio system with six speakers and a USB port. The system can play Pandora® content from a compatible device via the USB port or wirelessly via Bluetooth®. The audio system has a 5-inch (diagonal) display screen and conventional "hard" buttons and knobs to control the various functions. Illuminated steering wheel mounted controls are positioned within fingertip reach. Insight EX features an 8-inch Display Audio touchscreen that uses a unique Android operating system to offer a wide range of useful features and capabilities. The intuitive and easy-to-use touchscreen lets users swipe, tap and pinch – just like on a tablet or smartphone – to control the vehicle's audio and data systems, display settings and other advanced features. The 180-watt audio system has eight speakers with four 6.7-inch full range speakers, one in each front door and two in the rear deck, plus four 1.5-inch tweeters, two near the A-pillars and two in the rear deck. The system offers most popular audio formats, including, Bluetooth® streaming audio, and compatibility with the Apple CarPlay and Android Auto platforms. SiriusXM® and HD Radio™ are also included. Icons resembling smartphone apps are displayed on the high-definition, capacitive touchscreen, making the interface intuitive and easy to use. Interfaces for standard internet-sourced music and media options can be displayed and controlled on the Display Audio interface, with the ability to create personalized stations, tap to "like" songs, and view album artwork directly from the touchscreen. Display Audio also integrates touch operation of the menu and return functions for a modern and sleek look. The system can also be controlled with the illuminated steering-wheel mounted controls, or via voice commands, after pressing and releasing the steering-wheel-mounted talk button. In Touring models, the 8-Inch Display Audio Touchscreen system includes a number of upgrades. The total system output is increased drastically to 450 watts and the speaker count is increased from eight to ten. Premium 6.7-inch full-range speakers are positioned in the front doors and two in the rear deck plus one 3.1-inch speaker in the instrument panel. Two 1.5-inch tweeters are positioned near the A-pillars and two more are located on the rear deck, and a 7.9-inch subwoofer is placed in the center of the rear deck. Insight EX and above trims offer standard Apple CarPlay integration. Apple CarPlay features can be accessed by connecting a compatible iPhone® to the car using the phone's USB cable (supplied with the phone) and the Insight's USB data port. Apple CarPlay takes the most popular functions and features of the user's compatible iPhone® and projects them on the Insight's Display Audio touchscreen display. Drivers can get directions, send and receive messages, listen to audio books and music, all in a way that allows them to better keep their eyes on the road. Apple CarPlay is specially designed for typical driving scenarios. It also works with Insight's controls – both on the audio touchscreen and the steering-wheel mounted controls, so drivers don't need to pick up their phone. Apple CarPlay includes access to Apple Maps, which provides turn-by-turn directions, traffic conditions, and estimated travel time. Apple CarPlay can also predict where drivers are most likely want to go using addresses from email, text messages, contacts, and calendars. Apple CarPlay is compatible with iPhone® 5 or later smartphones that feature the Lighting connector. Honda recommends iOS 8.4 or later operating systems. Insight EX and above trims offer standard Android Auto integration. The platform is enabled by connecting a compatible Android phone to the car using the phone's USB cable (supplied with the phone) and Insight's USB data port. Android Auto™ puts some of the phone's most useful Apps on Insight's center display. Drivers can get directions, send and receive messages, listen to audio books and music, all without the need to pick up their phone. Android Auto works with Insight's controls – both on the audio touchscreen and the steering wheel-mounted controls – so it is simple and intuitive to use. Android Auto is specially designed for typical driving scenarios. A curated selection of available Android Auto apps is designed for use in Insight, and are designed to help minimize the potential for driver distraction. Android Auto includes access to Google Maps™, which provides turn-by-turn directions, live traffic conditions, lane guidance and more. Android Auto is designed to work with Android phones running 5.0 (Lollipop) or higher operating systems. The new generation 2.0 version of SiriusXM® Radio is a standard feature in Insight EX and Touring trims, and it provides more than 165 channels of digital programming with near CD-quality sound. The SiriusXM® signal is beamed from two broadcast satellites positioned in geostationary orbit above Earth. The beams from these two broadcast satellites combine to span the entire continental United States and some of Canada. SiriusXM® Radio programming includes channels devoted to music, sports, talk, traffic, weather, children's programming and entertainment. When set to SiriusXM® Radio, the audio system displays the current category, station, song title or artist's name. This latest generation of SiriusXM® Radio includes many all-new features, including pause, fast forward and rewind. There is also an Instant Replay feature, which allows listeners to rewind the song they are currently listening to, or rewind a song/program on any of the presets. A new Sports Flash feature lets you listen to your favorite programming, and if your favorite team makes a big play in a live game that is being broadcast on SiriusXM® Radio, you will receive an on-screen alert. With a touch of a soft key, you can hear up to 30 seconds of audio before and including the big play. The Display Audio system (EX and Touring) with next generation HondaLink® allows the driver's digital lifestyle to seamlessly integrate with the car and provides access to a world of cloud-based information. The application-based platform connects customers to online content both inside and outside the car. The connection between the system and the user's smartphone is made through the Bluetooth® wireless interface. A HondaLink® phone app provides convenient access for many services including location searches, local weather, messaging, Maintenance Minder™ alerts, service scheduling by phone, and access to the vehicle Owners Guide. HondaLink® Assist is standard on Insight EX and Touring, which can help request emergency assistance for drivers. If a compatible phone is paired through Apple CarPlay or Bluetooth® , a cellular connection exists, and an airbag deployment sensor is triggered. In the event of an emergency the system is designed to automatically attempt to notify an operator, report the car's current location, and allow occupants to talk directly to the operator. The operator can then contact emergency services if needed. All Insight trims integrate Apple's Siri® Eyes Free mode. Compatible iPhone® users will be able to operate Siri® through familiar voice commands by pressing and holding the TALK button on the steering wheel when their iPhone® is paired via Bluetooth®. Using Eyes Free mode, Siri® takes hands-free functionality even further and helps to minimize the potential for distraction by keeping the iOS device's screen from lighting up. Insight EX and Touring have a standard SMS text message function that can read incoming texts aloud over the audio system, and allow the driver to reply with any of six factory-preset messages (users edit these and can add up to four additional messages). The system works with SMS-capable cellphones utilizing Android operating systems that have an active data plan and the Message Access Profile (MAP) and others. iPhones® do not support this feature, but Siri® Eyes Free Mode (iPhone® 5 and later) offers the ability to initiate, hear and respond to text messages via voice commands. Once a compatible phone is paired with Insight's Bluetooth® system, the user can enable the text messaging function. When the phone receives a text message, an alert appears on the audio touchscreen. Using the touchscreen, the driver can choose to have the message read aloud, can select among the preset reply choices, or can call the sender – all without touching the phone. To help mitigate any potential for driver distraction, the text of the incoming message is not displayed on screen unless the transmission is in Park. The Bluetooth® interface is designed to offer hands-free operation for many Bluetooth®-enabled phones. Standard on all Insight trims, the system wirelessly connects the driver's cellphone to the vehicle's audio system. This allows the driver to make or answer cellphone calls without removing their hands from the steering wheel. The system is compatible with Bluetooth®-enabled cellphones that have the Hands Free Profile (HFP). A list of compatible phones can be found at handsfreelink.com or honda.com. Bluetooth® HandsFreeLink® enables audio files to be played wirelessly through the vehicle's audio system thanks to a feature called Bluetooth® Audio. If a compatible audio device is paired, it allows the Bluetooth® device's media to be played wirelessly through the audio system. Cellphone devices that support the Advanced Audio Distribution Profile (A2DP) and Audio Video Remote Control Profile (AVRCP) 1.4 allow the display of metadata for artist, album and track name on the audio screen. The vehicle's audio controls for "skip forward" and "skip backward" allow for navigation from track to track. Standard on Touring models, the integrated Honda Satellite-Linked Navigation System™, developed in cooperation with Garmin®, offers many features, including high-def graphics, live search, speed limit display, customized vehicle icons, 3D buildings and terrain, and more. The system includes free map database updates for up to five years (initial purchase plus one yearly update each year for four years). The system includes the HD Digital Traffic feature, which alerts the driver to current traffic conditions and can display alternate routes around gridlock. It features expanded coverage including many surface streets within the U.S., allowing the driver to choose faster, less congested routes. HD Digital Traffic is subscription-free. The navigation system can be controlled by voice or through the 8-inch electrostatic touch-screen display. The voice-recognition system can respond to casual command phrases that require less user familiarization. For example, a voice request for "Radio 98.3 FM" can be spoken in approximately a dozen different ways ranging from "change the radio station to 98.3" to "98.3 FM." This logic applies to audio functionality of the audio/information screen. The navigation system can also be controlled by voice with conventional navigation commands like, "Find nearest Chinese restaurant" or "find nearest ATM." The audio system is automatically muted when the "Talk" button is pressed. The voice-recognition technology allows the driver to simply speak city and street names aloud, and the system responds by displaying the matches available in the database. Points of interest on the map – such as restaurants or grocery stores – can be displayed with brand logo icons or you can have the system provide turn-by-turn navigation, all by voice command. The point-of-interest (POI) database includes telephone numbers that can be dialed by using the Bluetooth®7 system when the driver's cellphone is connected to the system. Given Insight's wide range of tech features, connectivity is key. Based on trim level, Insight has an expansive list of connectivity features. The new Insight focuses on providing top-of-the-line safety features on all trims. Its safety credentials are accordingly deep, beginning with advanced unibody engineering, materials and assembly, and extending to the model's array of premium active and passive safety features. Insight is designed to earn a 5-Star Overall Vehicle Score from the National Highway Traffic Safety Administration (NHTSA) and a TOP SAFETY PICK rating from the Insurance Institute for Highway Safety (IIHS). Besides protecting its occupants, Insight is also engineered to help safeguard the occupants of other vehicles and other road users, including motorcycle and bicycle riders and pedestrians. All Insight trims include standard Honda Sensing®, among the most comprehensive suite of active safety and driver-assistive technologies in its competitive class. Included in Honda Sensing® are the latest Honda driver-assistive features such as Traffic Sign Recognition. The new Insight incorporates high-strength steel in addition to advanced crash engineering features, such as Advanced Compatibility Engineering™ (ACE™) body structure, crash stroke front frame rails, and tailor-tempered B-pillars and rear frame structures. Altogether, these engineering advancements help better protect occupants in a collision while minimizing weight for enhanced fuel efficiency. Insight was engineered to earn top-class collision safety ratings. In particular, these include a 5-Star Overall Vehicle Score from the National Highway Traffic Safety Administration (NHTSA) in its New Car Assessment Program (NCAP), along with a TOP SAFETY PICK rating from the Insurance Institute for Highway Safety (IIHS). Structures in the front of the 2019 Insight are designed to help absorb energy in the event of a collision with a pedestrian. Research by Honda shows that the following features can dramatically improve a pedestrian's chance of survival if struck by a moving vehicle. Additionally, Insight issues an audible alert for pedestrians when driving slowly in electric mode. Vehicle Stability Assist™(VSA®) is an Electronic Stability Control system that works in conjunction with the Drive-by-Wire™ throttle and its 4-channel ABS systems to increase control while the vehicle is accelerating, braking, cornering or when the driver makes a sudden maneuver. VSA® functions by applying brake force to one or more wheels independently while also managing the throttle, ignition and fuel system to help the vehicle maintain the driver's intended path of travel. The VSA® system constantly analyzes data from sensors that monitor wheel speed, steering input, lateral and longitudinal G forces and yaw rate. It compares the driver's control inputs with the vehicle's actual response. Whenever the actual response falls outside of a predetermined acceptable range, VSA® intervenes with a corrective action. For instance, if VSA® detects an oversteer condition, the system may apply braking force to the outside front and rear wheels to counteract the unintended yawing effect. In the event of understeer, VSA® may apply braking to the inside rear wheel while reducing engine power to help return the vehicle to its intended course. VSA® also provides a limited-slip differential effect for the front wheels by applying braking force to a slipping wheel, thereby redirecting driving force to the wheel with more traction. VSA® is calibrated to function in a near-transparent manner, and in most cases a driver will not be aware of its operation. However, anytime the system is enhancing vehicle stability, an indicator light flashes in the instrument cluster. While the driver can reduce the traction control effectiveness allowing more wheel slip during stuck condition by pressing the VSA button, ABS remains fully operational at all times. Motion-Adaptive Electric Power Steering (EPS) is standard on all 2019 Insights. The system incorporates driving stability technology that initiates steering inputs that prompt the driver to steer in the correct direction during cornering and in slippery road conditions. Using vehicle speed and steering angle data, Motion-Adaptive EPS works with Honda's Vehicle Stability Assist™ (VSA®) and Electric Power Steering to detect instability in slippery conditions both during cornering and under braking. The system also automatically initiates steering inputs aimed at prompting the driver to steer in the correct direction. This advanced technology supports the driver's action in operating the vehicle more safely and comfortably. This function helps to correct the driver's steering input to reduce vehicle instability when the driver is braking hard on road surfaces with different friction coefficients (such as pavement that is partially covered with dirt or snow). All Insight trims are fitted with four-channel anti-lock braking (ABS) and Electronic Brake Distribution (EBD) circuitry that automatically proportions front-to-rear brake force based on the vehicle's dynamic load on each wheel (see the Chassis section for more information). Three-point seatbelts are standard for all seating positions. The front seatbelts are equipped with pyrotechnic pretensioners and load limiting retractors to help minimize injury potential in a frontal collision. When an impact occurs, the automatic tensioner tightens the seatbelt (shoulder and lap) to help hold the occupant firmly in position. Each front seatbelt retractor incorporates a load limiter that works in conjunction with the automatic tensioner. The load limiter functions by permitting a small amount of controlled seatbelt slack shortly after the automatic tensioner is activated to limit the peak restraining forces and thereby reducing the potential of serious injury. The front seatbelts also feature adjustable-height shoulder anchors. To help increase seat-belt usage, a reminder for the driver and front passenger has been incorporated into the instrument cluster. After starting the vehicle, a weight sensor detects whether the front passenger seat is occupied. If the driver or front passenger has not already fastened the seat belt, an icon in the cluster illuminates and a chime sounds as a reminder to do so. Insight's front seatbelts use a "crash locking tongue" latch plate design that locks the webbing in place during a collision, helping to better restrain the occupant. During normal driving conditions the seatbelt webbing moves freely through the latch plate in the normal manner. However, in the event of a collision, forces exerted on the lap and shoulder sections of the seatbelt push the webbing against a "reaction surface" inside the latch plate, locking the webbing in place. Advanced front airbags are provided to help reduce the likelihood of driver and front passenger injury in a collision of sufficient magnitude. Like other Honda vehicles, the driver's front airbag is located in the steering wheel while the passenger airbag is located on the top of the dash. When deployed, the passenger airbag inflates upward and then rearward to maximize its protective potential while reducing the likelihood of injuries caused by airbag deployment. The front passenger airbag in the 2019 Insight features a safety vent system that increases safety for the occupant in a frontal collision involving an airbag deployment. If the passenger is sitting "out of position" – such as leaning forward in the pathway of the airbag deployment – the auxiliary vents remain open, directing a significant amount of gas out and away from the occupant. As a result, the potential for injury from the airbag striking an out-of-position passenger is reduced. However, if the passenger is correctly seated, the airbag has an internal tether that will close the auxiliary vents at the necessary time to provide optimal occupant restraint. Both of the front seats are designed to help mitigate the severity of neck injuries in a rear impact. In the event of a rear crash, the seat efficiently disperses rear impact forces against the occupant as the seatback cushion compresses relative to the occupant's head. The seatback springs are optimized so that in a rear crash when the seatback is pushed forward into the occupant, the seat will absorb the occupant's mass in manner that can help minimize the severity of a whiplash injury. The front seats feature individually adjustable head restraints that are shaped to maximize visibility for the rear-seat passengers. All Insight trims are equipped with a LATCH (Lower Anchors and Tethers for CHildren) child seat-mounting system. Both of the rear outboard seating positions are fitted with dedicated LATCH lower anchor attachment points. Tether anchors are provided the remaining middle seating position. The LATCH system provides two lower anchors and an upper tether anchor. When used with a compatible child seat, the LATCH system provides attachment points between the child seat and the vehicle seat without having to use the vehicle's seat belts. Additionally, all seat belts except the driver's are equipped with a locking retractor that can be used to help secure any child seat. Both rear side doors are also equipped with childproof door locks for added protection. The Indirect Tire Pressure Monitoring System (TPMS) uses wheel-speed data collected by the 4-channel ABS system to determine when the air pressure in one tire drops below the recommended minimum. When this occurs, a symbol illuminates on the instrument panel to warn the driver (see the Chassis section for more information). 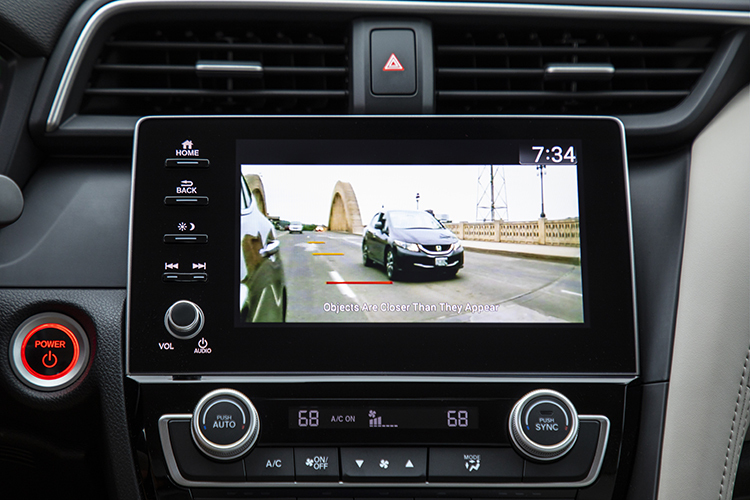 All 2015 and newer Honda models incorporate a multi-angle rearview camera. Viewable on Insight LX's 5-inch LCD screen and the Insight EX and Touring's 8-inch Display Audio touchscreen, the camera can show a top view, normal or wide view when the transmission is in Reverse. LX trims feature static guidelines that help the driver better judge distances, while EX and above trims have dynamic guidelines that project the vehicle's future path based on the driver's steering inputs. See the following page for an image of the Display Audio screen views (see the Interior and Audio and Connectivity sections for more information). EX and Touring trims include the Honda LaneWatch™ display. Honda LaneWatch™ uses a camera located at the bottom the passenger-side exterior mirror to display a wide-angle view of the passenger side roadway on the 8-inch Display Audio touchscreen. The image appears when the right turn signal is activated or when a button on the end of the turn signal stalk is pressed (see the Interior section for more information). LaneWatch™ can be customized to suit the driver's preferences. Turn-signal activation of the LaneWatch™ system can be switched on or off, as can the three on-screen reference lines. Screen brightness, contrast and black level are also adjustable. Comprised of a suite of active safety and driver assistive features, Honda Sensing® helps provide greater awareness of driving conditions around the vehicle. 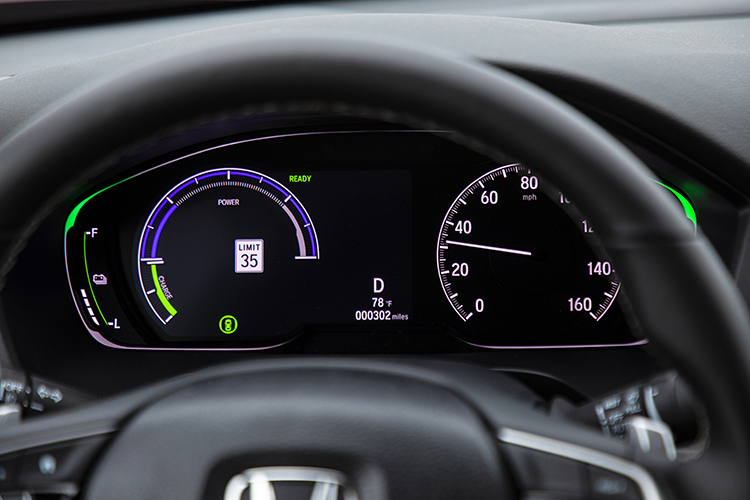 Honda Sensing® is included as standard equipment on all 2019 Insights. Collision Mitigation Braking System™ (CMBS™) is one of the most sophisticated driver-assistive technologies available. A millimeter-wave radar unit located behind the front grille and monocular camera located between the rearview mirror and windshield scan traffic conditions ahead of the vehicle. When the system determines a collision is possible with a detected vehicle, the integrated Forward Collision Warning (FCW) system's visual and audible alerts prompt the driver to take corrective actions. The visual alert appears on the Multi-Information Display (MID). If the situation is not resolved, CMBS™ can apply different levels of autonomous braking action to help reduce vehicle speed and eventual collision forces, thereby helping reduce the severity of a collision if the driver doesn't take corrective action. The radar unit and camera work simultaneously and cooperatively to control the Electric Servo Brake system, which initiates any required braking. Due to the effectiveness of its monocular camera, CMBS™ can recognize shapes and differentiate between a vehicle and a pedestrian, warning the driver in each case. It is important to note that CMBS™ cannot detect all objects ahead, nor is it intended to replace the driver's assessment of traffic conditions and control of the vehicle. The driver must intervene in certain situations and must always be attentive when using the system. Although in many cases CMBS™ will stop the vehicle, it is not intended to apply enough braking force to prevent all collisions. Based on the conditions, the system also may not perform all visual- and audible-alert stages and may instead automatically engage the brakes if the system deems it necessary. CMBS™ may be turned off using the Safety Support Switch on the left side of the dash. Integrated with CMBS™, Forward Collision Warning (FCW) uses the monocular camera to detect vehicles ahead and to determine whether a collision is likely. This reduces the stress of driving in traffic, while also contributing to an increased level of passive safety. If the FCW system detects a vehicle in front and then determines a collision may occur (due to a speed differential between the two vehicles), it will trigger visual and audible alerts for the driver. These include a "BRAKE" message on the Multi-Information Display (MID), and a series of beeps to alert the driver to apply the brake pedal. The FCW system will not automatically brake, and the driver remains responsible for safely operating the vehicle and avoiding collisions. If the driver doesn't respond to the FCW warnings, however, the CMBS™ is triggered. Drivers may adjust the distance at which FCW alerts occur by pressing the "SETTINGS" button, selecting "Vehicle Settings," and then choosing "Driver Assist System Setup" and the "Forward Collision Warning Distance" option. At this point they may choose between "Long," "Normal" or "Short." And if they choose to, drivers may also select "Off" to disable the FCW system entirely. The Lane Keeping Assist System (LKAS) provides a less stressful driving experience by helping to reduce steering correction movements and driving effort on the highway. LKAS uses a camera to read lane markings and uses the Electric Power Steering to assist the driver in maintaining their position within the lane. Designed for the U.S. road structure, the system uses a monocular camera mounted on the upper portion of the windshield to identify painted lanes, Botts' Dots and other reflective markers at speeds between 45 mph and 90 mph. When LKAS senses that the driver is drifting from the middle of a detected lane, the system generates corrective steering torque to assist the driver in maintaining lane position. Road Departure Mitigation (RDM) is integrated with Lane Departure Warning (LDW) (see below). RDM uses a monocular camera (mounted on the upper portion of the windshield) to identify solid or dashed painted lane lines, Botts' Dots and other reflective markers. RDM uses both steering force, via EPS, and, if the vehicle is detected leaving a lane marked by solid lines, braking force, via Electric Servo Brake system, to help the Insight stay in its lane. The monocular camera recognizes lane features and identifies the lane. If the RDM system determines that the vehicle is about to leave a detected lane, it will provide steering assist (primary) and in rare occasions when steering assist is not sufficient to avoid leaving a lane marked by a solid line, braking assist, to help the driver stay on the road. RDM is integrated with the Electric Servo Brake system to provide moderate braking, and with the Electric Power Steering (EPS) system to provide steering input. Multiple visual and audible warnings alert the driver when the RDM system is taking corrective action. These include a lane departure warning on the driver's Driver Information Interface (DII) along with an audible warning. RDM also has a customizable initial warning of either a steering wheel shake/vibration, or an audible alert. This can be customized in the vehicle settings. RDM can be turned off by using the Safety Support Switch button on the left of the dash. Lane Departure Warning (LDW) is designed to alert the driver if the vehicle is leaving a detected lane without turn signal activation. The system functions at speeds from 40 to 90 mph on straight or slightly curved roads, alerting the driver of deviations from a detected lane. The LDW system utilizes the same upper front windshield camera used for CMBS™ and LKAS and provides the visual and auditory alerts prior to the engagement of other systems. If the vehicle begins to move out of a detected lane without the turn signal activated, LDW illuminates a Lane Departure message on the Multi-Information Display (MID) and sounds an audible warning, advising the driver to take appropriate action. The system can be activated and deactivated by pressing the button located on the instrument panel to the left of the steering column. Adaptive Cruise Control (ACC) allows the driver to set a desired speed and following interval from a vehicle detected ahead, allowing the use of cruise control in light traffic conditions. This significantly reduces the stress of driving in traffic. The system uses the millimeter-wave radar and monocular camera to continually track the distance to the vehicle detected ahead, and then adjusts Insight's speed to maintain the set following interval. A short, medium, long, or extra-long interval can be selected. When required, Insight can brake autonomously using the Electric Servo Brake system. Integrated Low-Speed Follow (LSF) extends the automatic following capability to stop-and-go traffic situations (down to 0 mph). A preceding vehicle is detected in the lane ahead – Decelerates automatically, if required, and then controls the following distance. The preceding vehicle slows to a stop – Stops automatically and remains stationary. The preceding vehicle accelerates from a stop – Resumes following when the SET or RES switch or accelerator pedal is operated. Another vehicle merges in between the Insight and the preceding vehicle – Automatically switches "targets" to the nearest detected preceding vehicle. The preceding vehicle exits the lane – ACC system continues at cruise-control speed previously selected by driver (25 to 90 mph). Traffic Sign Recognition supports the driver in recognizing traffic speed limit signs. To do so, Insight's monocular camera can automatically recognize the signs and display the information on the Driver Information Interface (DII). The information is displayed immediately after the vehicle passes the sign. Honda developed a range of Honda Genuine Accessories simultaneously with the 2019 Insight to further enhance convenience, protection, and to provide personalization opportunities. 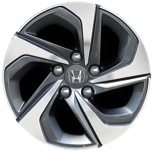 Like all Genuine Honda Accessories, they are covered by Insight's 3-year, 36,000-mile limited warranty when obtained and installed at the time of original vehicle purchase. Not all accessories listed are available for all trims. The 2019 Insight is the third Honda vehicle to wear the Insight name. Arriving nearly two decades after the launch of the first Insight Coupe – which was also the first mass-produced hybrid available in America – the newest version is an entirely different vehicle, with dramatically expanded comfort, performance, technology, utility and safety. This broadening and heightening of features takes the Insight nameplate from its origin as a niche vehicle straight to the epicenter of Americans' needs and desires for a highly efficient, environmentally friendly, "no compromise" compact sedan. In doing so, the new Insight offers all the advantages of a hybrid without the compromises of reduced passenger and cargo space, or diminished ride and handling qualities that burden some purely electric vehicles, hybrids, plug-in hybrids or fuel-cell vehicles. Assembled in Japan, upon its debut the first-generation Insight was the first hybrid car available in the U.S. Its lightweight, all-aluminum unibody featured a highly efficient aerodynamic design, incorporating an aggressively tapered exterior form and rear wheel skirts resulting in a low 0.25 coefficient of drag (Cd). Power came from a 3-cylinder, 67-hp engine with Honda's proprietary crankshaft-mounted Integrated Motor Assist (IMA), helping the 2-passenger, 3-door hatchback achieve an EPA-estimated 53/47 city/highway fuel economy rating. In emissions performance, the first generation Insight earned an ULEV rating for the initial 6-speed manual transmission model and an even better SULEV rating for later CVT-equipped models. In all, some 16,000 first-generation Insights were sold. For the 2010 model year, Honda introduced the second-generation, Japanese-assembled Insight based on an all-new, 5-passenger, 5-door hybrid platform. This new generation Insight was designed to make hybrid technology affordable to a wide range of buyers. Coupled with a Continuously Variable Transmission (CVT), it was powered by Honda's fifth-generation Integrated Motor Assist (IMA) hybrid system with a 1.3-liter 4-cylinder gasoline engine and electric motor for a combined rating of 98-hp. It offered an EPA-estimated City/Highway rating of 41/44, and a ULEV-2/AT-PZEV emissions rating. In all, 73,000 second-generation Insights were sold. For its third-generation, the American-assembled, all-new 2019 Insight shares its basic platform architecture with the highly-praised 10th-generation Civic. As a premium compact sedan, Insight is positioned and priced between Civic and Accord in Honda's passenger car lineup. The latest Insight is unique in providing universally appealing styling, with the packaging and refinement of a premium compact sedan and fuel efficiency competitive with leading hatchback hybrid models. Powered by the third-generation of Honda's innovative and efficient two-motor hybrid system, Insight's 151 net system horsepower combines with a lightweight structure to deliver the best power-to-weight ratio in its class as well as up to 55-mpg in the city. Under most conditions, Insight operates as a series hybrid, in which the gasoline engine, connected to the generator motor, produces electricity that is supplied to either the electric propulsion motor and/or the 60-cell lithium-ion battery pack. The 2019 Insight carries a LEV3-SULEV30 emissions rating. Binge Watch My Popular Vids!